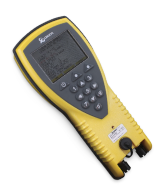 Converting to the uni tronic™ 600 and other Next Generation systems has been made more efficient with software upgrades ensuring no current hardware is obsolete. Conversion to the Next Generation can be done in two configurations. The Blast Box provides the voltage and command to fire the detonators in programmed sequence. The alternate 310R offers remote firing capability. 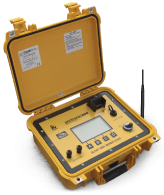 The Next Generation Scanner 200 scans unique ID numbers on the detonators and allows the functionality of each detonator in the pattern to be tested before the bench is cleared. 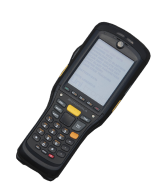 A barcode scanner that reads unique ID numbers on the detonators. 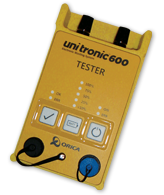 The Tester offers safe on-bench testing, by communicating with and testing the uni tronic™ 600 detonators after the scanning process. Designed for on-bench efficiency, the new connector carries signals between the detonator and the harness wire. Orica’s SHOTPlus™ Blast Design Software gives printed blast plans, useful on the bench with the uni tronic™ 600 system.